As we wind down the final six weeks until Shadowhunters return with season 2B, Freeform has been sprinkling all kinds of teases leading up to the premiere. 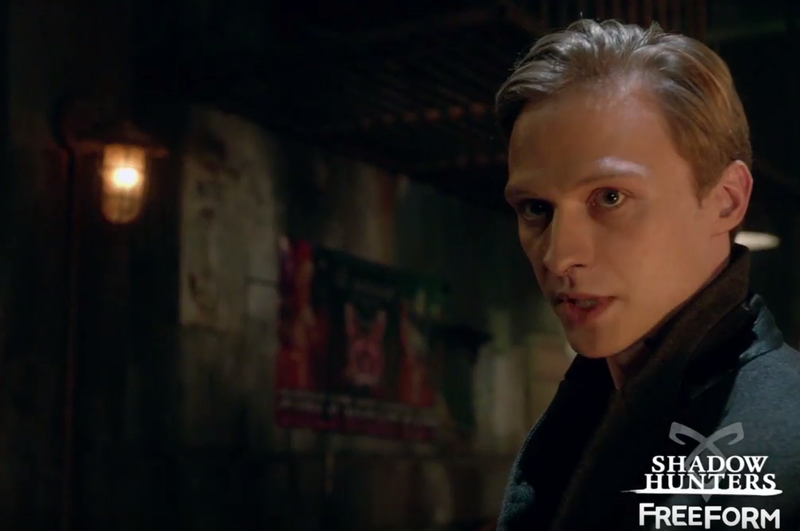 The latest teaser is the longest and perhaps most intriguing yet as we get a long-awaited look at Will Tudor as the infamous Sebastian, who is set to make his debut in the backhalf of this second season. Watch the latest trailer below, which promises more with the Clary-Jace-Simon love triangle, the arrival of Sebastian (who people don’t trust, smart), as well as an Uprising following Valentine’s attack on Downworlders in the midseason finale. What are your thoughts on Sebastian after this first look? Sound off in the comments below! Shadowhunters season 2B premieres Monday, June 5 at 8/7c on Freeform. Omg, I totally agree with you ^ (@seralynsmom) His eyebrows do look a little weird haha. But, I loved the new trailer! I am so excited to see what Shadowhunters has in store for us! I hope the plot of the show sticks to the overall plot of the books and will continue to get better, both looks-wise and content-wise. I understand why you couldn’t really dye Sebastian’s hair (that process is very scary and unnerving for some actors) but it would’ve been cool to see it done. I am so excited to see him on screen! So that clip at the end is totally clary in the seelie court needing to kiss the one she desires most …right?